Bessent (pictured left) used to sell his UFO footage on DVDs and apparently was doing well with sales. Bessent had released a clip of a supposed fleet of UFOs that many thought looked to have been the product of digital manipulation. 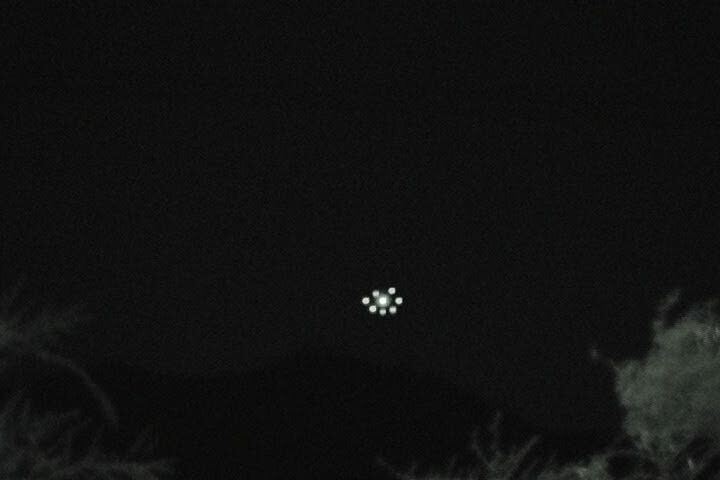 Later, Bessent released a video of what appeared to be stunning UFO footage he claimed he shot in Phoenix, Arizona. Known as the Phoenix Footage (pictured right), this video clip was the subject of much debate. Bessent claimed the video was genuine and said he would submit it for analysis. Time came and went and Bessent was no where to be found, as he was reportedly lodged in jail on a warrant. 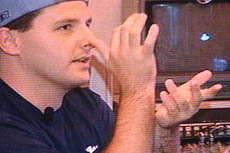 Soon after, Bessent came clean about hoaxing the Phoenix Footage after the pressure was on him to come forward. Bessent posted a message at his former website where he claimed he was faking footage to expose the UFO community. Nice try, Bessent - you're not fooling anyone and we all know you got caught red handed. You can read Bessent "fessing up" by clicking here.